The brow trend for spring and summer 2016 is big and bushy…if your brows are in the sparce or “barely there” category, you’re going to need to bulk up. 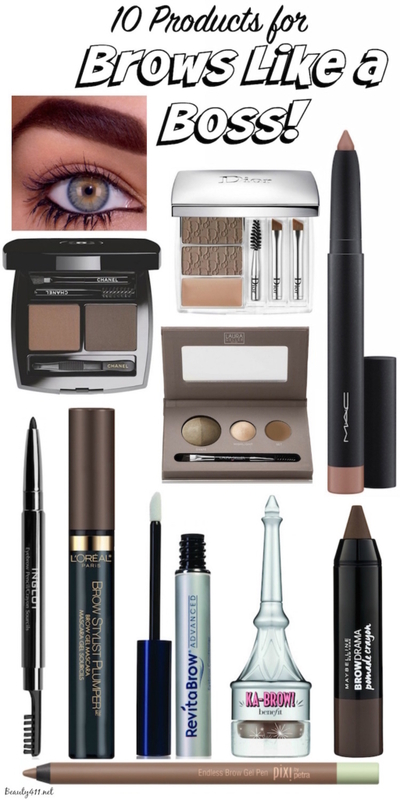 These are 10 options I’ve found to get the bushy, brow look. 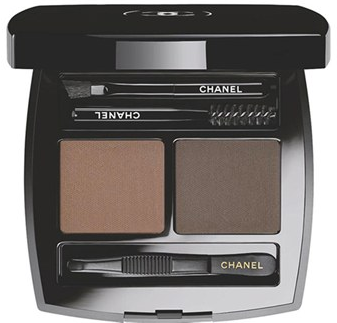 The CHANEL La Palette Sourcils Brow Powder Duo ($50) offers two shades of powder for filling in brows, along with a spoolie, angled brush and mini tweezers. I have the Naturel Duo and it’s perfect. Laura Geller Brow Sculpting Palette ($29) comes in three shade choices (Blond, Taupe and Brunette) and allows you to shape, highlight and set your brow look. 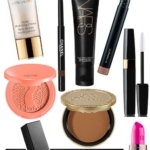 The Shaper and Highlighter are the same baked powders Laura Geller has made famous, the brow wax helps set. 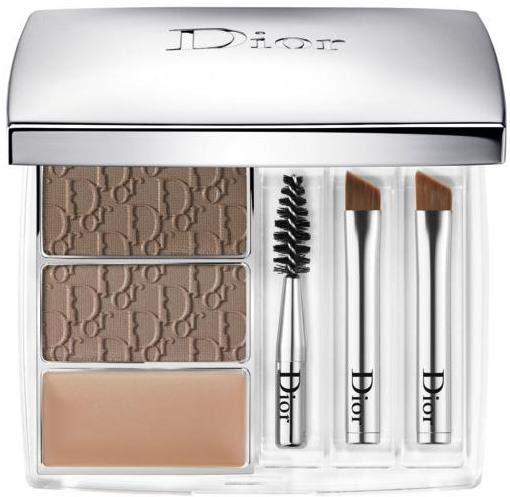 Diorshow All-in-Brow 3D Palette ($52) comes in Blonde and Brown; the powders were created to be universally flattering. 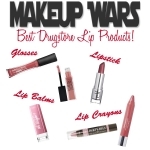 Each kit contains two powders, a brow wax for setting and three tools. Plus…the mirror is magnified, which I love. 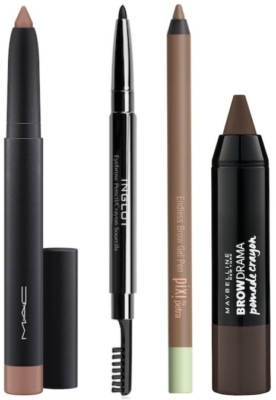 MAC Big Brow Pencil ($21) is very use-friendly. 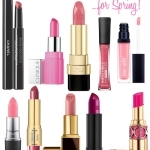 A hybrid wax/powder formula that comes in five shades, I like ‘Coquette’, which is a midtone neutral brown. It’s long-wearing, too. The INGLOT Full Metal Eyebrow Pencil ($14), has a waxy texture for shaping and holding brows in place, plus it’s pigmented to add color. The other end has a brush for blending and grooming. A sharpener is included and can be switched out one end. Pixi Beauty Endless Brow Gel Pen ($11) is a waterproof pencil, great for summer. Fills in brows and stays put all day. I’m using the Medium shade. Maybelline Brow Drama Crayon ($9.99) couldn’t be easier; sculpt, tame brows and color in one easy swipe. This is one of my favorites and one of the best if you need to just fill in/hold in place. Benefit is known for their amazing brow products and great news…they’re releasing a new brow collection! If you like the ease of working with a cream, the new ka-BROW Cream-Gel Eyebrow Color ($24) comes in five shades. 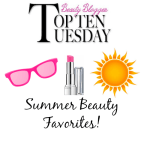 This is great for summer, because it offers smudgeproof, 24-hour wear, plus you can control the amount of color. Sometimes it’s not enough to “draw” in or fake a full brow. I’ve been using RevitaBrow® Advanced ($110), which delivers a proprietary blend of scientifically-advanced peptides, revitalizing extracts and nutritive vitamins to help enhance the look of your brows. I apply the solution at night (the wand is similar to a mascara) and saw fuller brows in about 3-4 weeks. L’Oreal Paris Brow Stylist Plumper Brow Gel Mascara ($9.99), which comes in three shades is a great product for shaping and setting brows. The short brush allows for precise application. If you’ve got that “bushy boy brow” that’s everywhere right now, this is your finishing product. I want to know what is your favorite product (or products) to get brows like a boss?